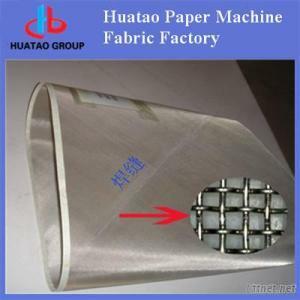 Huatao Paper Machine Fabric Factory specially design and produce Polyester Shrinks cover Fabric used in Cylinder Mould paper making machine: SYC 787 type, 1092 type, 1575 type, 1785Type etc. Material: 100% polyester or polyamide. No seam marking and Flat surface, Not easily cracked. Long life time and good air permeability.